Another basketball player from St. Francis High School in Alpharetta will get a shot in the NBA. Kaiser Gates, a native of north Fulton County and 2015 graduate of the school, went unselected in the 2018 NBA Draft on Thursday night, but was signed by the Chicago Bulls on Friday and will join the team in the NBA’s Summer League. Gates, 21, played his college ball at Xavier, but left a year early to pursue a career in pro basketball. The Musketeers made the NCAA Tournament each year that Gates was on the team. This past season, the 6-foot-8, 225 lbs. 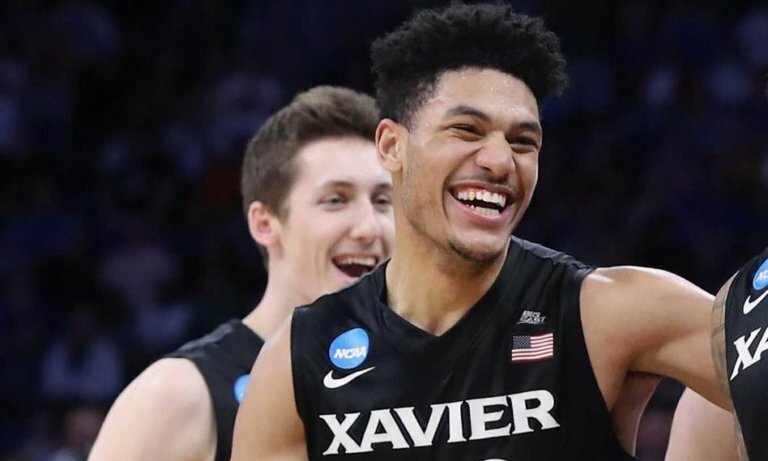 forward helped Xavier earn its first No. 1 seed in the tournament in school history. Leading up to the draft, Gates worked out for the Bulls and the Cleveland Cavaliers. In his junior season at Xavier, Gates averaged 7.2 points and 4.6 rebounds per-game while also shooting 37 percent from behind the arc. At St. Francis — where he shared the court with current NBA players Kobi Simmons and Malik Beasley — he won two state titles and finished as the school’s all-time leading rebounder. In the 2017 NCAA Tournament, Gates and Simmons faced off in the Sweet 16. Simmons went undrafted last year, but signed with the Memphis Grizzlies. Beasley was a first-round selection by the Denver Nuggets in 2016. For now, Gates will have to prove himself at the NBA’s Summer League in Las Vegas. He’ll suit up for the Bulls on July 7 when they take on the Cavaliers, a game that airs at 7:30 p.m. on ESPN 2.